Home	→ Blog → HAIR EXTENSIONS → Ombre Hair Extensions Braids | These Items Will Change Your Life Forever! If you suppose ombre hair is just a fad, you are totally wrong! Ever since it rocked the market in the late 2000s, ombre has always been a hot trend. Not just as simple as the wavy or curly ombre, people are now inspired by many new hairdos, especially the ombre braids. 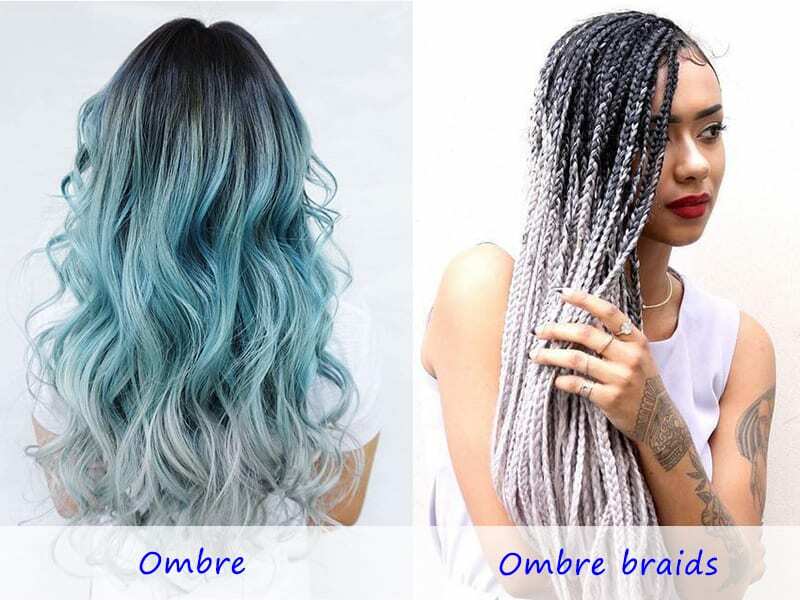 Ombre hair extensions braids are believed to rock 2019 with its uniqueness and freshness. Let Layla Hair get you updated with this exciting trend! 1. What is Ombre Hair Braid? 1 1. What is Ombre Hair Braid? 2 2. Why to choose ombre braid hairstyle? 3 3. Is it easy to make ombre hair braids? 4 4. Are ombre hair extensions braids cheap to buy? 5 5. 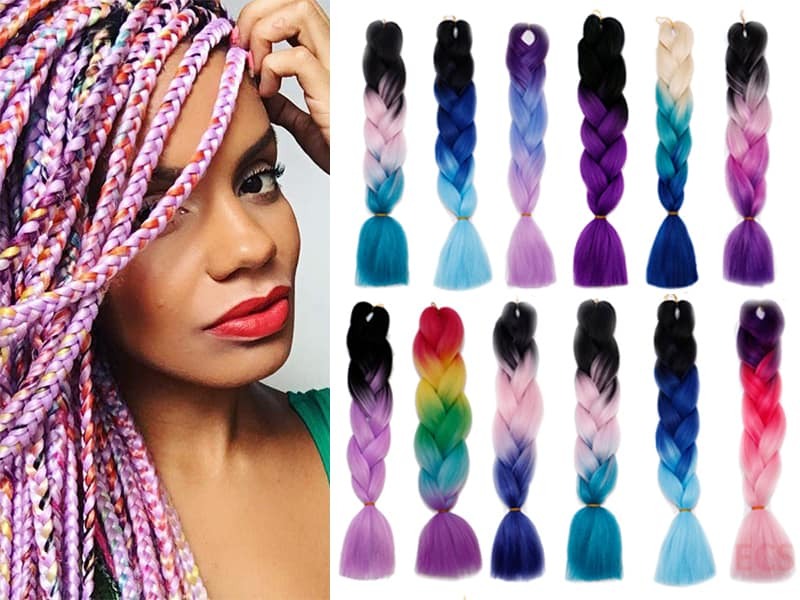 How about the variety of ombre braid extension colors? Ever since ombre hairstyle blew up in popularity in the last decades, it has never been kicked out of the most-favored hairstyle lists. It is said that every woman should try this hairstyle at least once in their life, or it would be a huge regret. If you are still unfamiliar with the definition of ombre hair, we will break it down for you here. Ombre refers to the fading color of the hair, which transitions gradually from one to another. It might be from dark to bright colors or vice versa. Instead of having the same color starting from the root to the end, ombre hair becomes lighter or darker toward the ends. Not only is super trendy with sun-kissed looks but it also supports significantly in brightening your face. Ombre hair will never be a thing of the past thanks to the appearance of different hairstyle variants. The trend might be a little bit off for a period, but it is only a pedal for an even more impressive comeback. These years, ombre hair has been coming back to capture women’s hearts with its new style – ombre braids. Generally speaking, ombre braid is the braids that have the ombre tones. It looks super fashionable and exceptionally suitable for summer and festivals. Wearing ombre hair extensions braids is a nice way to channel your inner unicorn. 2. Why to choose ombre braid hairstyle? – It is stylish. Instead of having solid hair color all year round, lighten up your day and make yourself stylish with a fresh ombre braid. – It is easy to transition. Well, when you have been bored with the ombre braid, remove the braid patterns, and it will become a normal ombre hair. Then you could turn it into another style if you want. – It saves money. Because ombre hair has low maintenance, it would take longer for the hair to need dying again. Even when your hair grows, the regrown line of natural color still looks natural and blends well with the existing hair. – It is an anti-aging hairstyle. Ombre braid will never be too trendy for any ages. This hairstyle would unconsciously add brightness and youthfulness, thus being an excellent trick to hide your real ages. 3. Is it easy to make ombre hair braids? It is never easy to make a perfect ombre braid. To offer a sun-kissed ombre hair that looks natural and well-blended, the hairdressers must have extraordinarily skillful hands. We have been looking around famous hair salons but still cannot find any shop that could make an exquisite ombre braid. It is quite risky to have your real hair dyed ombre and then interlaced into braids because no one can guarantee the hair-making process would be 100% successful. You could be a weirdo if having to wear a not-so-well-done hairdo. Because it is challenging to make a beautiful real hairdo, ombre hair extensions braids have become a haunted product in the hair market. 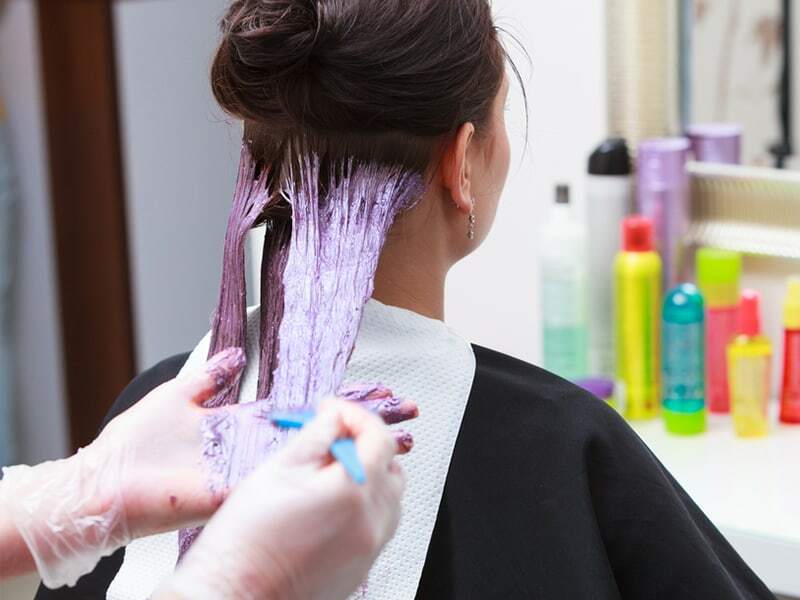 Instead of risking your hair, money, and time, it is much safer and faster to purchase extensions or wigs. 4. Are ombre hair extensions braids cheap to buy? The expense that you need to spend for an ombre braid wig is definitely lower than making a real ombre hairdo. Of course, the price of braid extensions also depends on the quality as well as the color of the wigs. The most favorite products in the market now are the synthetic textured ombre hair thanks to its variety of choice and reasonable price. To get ombre clip in hair extensions cheap, you could go shopping around both the offline and online market to compare the price. You can also read reviews and comments on hair-lover groups to find the best place to buy. Customized ombre braid extensions are also available in many shops and vendors; however, the price would be higher than the ready-made ones. At Layla Hair, you can search for any kinds of ombre braid extensions or virgin hairs. We also support customizing the products according to client’ requirements without charging any high fees. 5. How about the variety of ombre braid extension colors? A variety of choices are available for you to choose when you want to experiment with different styles for your festival or holiday. Balayage braid extensions appeal festive people with its wide range of colors. Still, the bright ombre colors are more preferred thanks to their energetic looks. First, let us start with single colors. While purple lemonade and baby pink fit sweet girls well, ombre hair extensions blue and lavender are the perfect choice for chic people. No color would match the summer better than neon ombre. If you are a fan of 50 Shades of Gray, dye your braid with ombre gray color. Blended colors are also worth considering. If you are fed up with the typical blue ombre braids, try its variant – Blue Ombre Fulani. Such pastel color like platinum blonde, rainbow, and mermaid ombre will be ideal for the summer season. For cold days, a green ombre braid is No.1 choice. 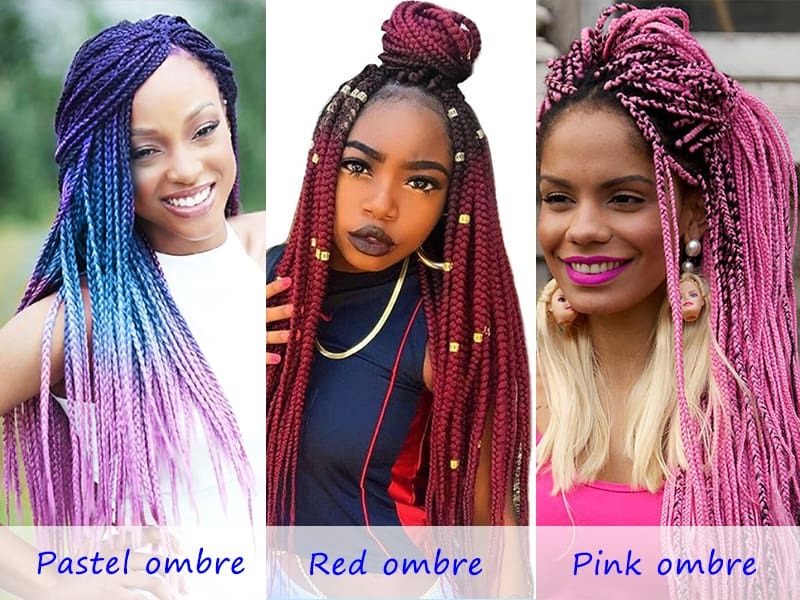 Before equipping yourself with an ombre braid wig, it is significant for buyers to check everything carefully in advance before deciding to purchase. Things like quality, color, length, and price need to be taken into serious consideration so that you could bring home the best ombre hair extensions braids. If you are looking for Vietnamese or Cambodian ombre braids, take a look at Layla Hair’s product. The enthusiastic supporting team from Layla is willing to assist you in finding the best ombre extensions ever to light up your day.